Many mobile phones now let you go onto the internet at the touch of a button. 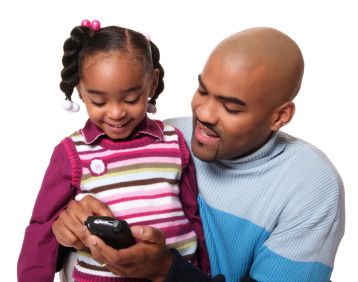 This guide explains more about mobile internet safety and shows you how to find information to keep your children safe online. Many mobiles can use Bluetooth to send messages, photos and videos between phones. However, this means that other people are able to send unwanted messages which parental controls can’t stop. But, you can turn Bluetooth on and off using the mobile handset or you can stop other people being able to access your phone without your permission. Instructions on how to do this should be contained in the handset manual. If you need help, ask your service provider. It is important that you discuss using Bluetooth with your child. Young people often take photographs and videos of themselves and each other on their mobile phones but they should be very careful how they then share these images. Embarrassing or inappropriate photos/videos could easily be passed between phones and put online. Once sent or put online, control over the images may be lost and they could end up in the hands of strangers. Photographs or videos may also be used to fuel bullying or harassment. Visit the thinkuknow website for more information and advice on this. Chatrooms are popular with children and young people and while mobile providers’ own chatrooms aimed at children may be moderated, others might not be. Discuss with your child which sites they are visiting, what’s OK to post and what behaviour is acceptable. Visit the Childnet website for more information and advice on this. If your child has a profile on a social networking site they may access it on their mobile phone. Ensure they know why it is important to allow their personal information only to be shared with people they know in the real world. Most of the larger social networking sites specify a minimum age of 13 for all members. For those sites that are aimed at younger children, parental consent and confirmation of the child’s age will usually be required. Check the minimum age requirement for users – ask your child which sites they visit to make sure they’re visiting sites appropriate for their age. Our research found that 25 per cent of children and young people say that they’re uncertain about what they would do if they came across inappropriate material on their mobile phone. Parents and carers should encourage their children to tell them about anything they have seen or heard that has made them feel uncomfortable or scared. Parents and carers should report incidents to their mobile network operator and in instances of sexual contact to the Child Exploitation and Online Protection Centre (CEOP) using their report abuse button. Some sites also provide a direct link to CEOP, usually through a red button. If you/your child encounter content online that you think might be illegal, there are two things you can do. Firstly, report it to the Internet Watch Foundation (IWF). Again some sites may provide a direct link to the IWF. Secondly, report the content to your mobile network operator.